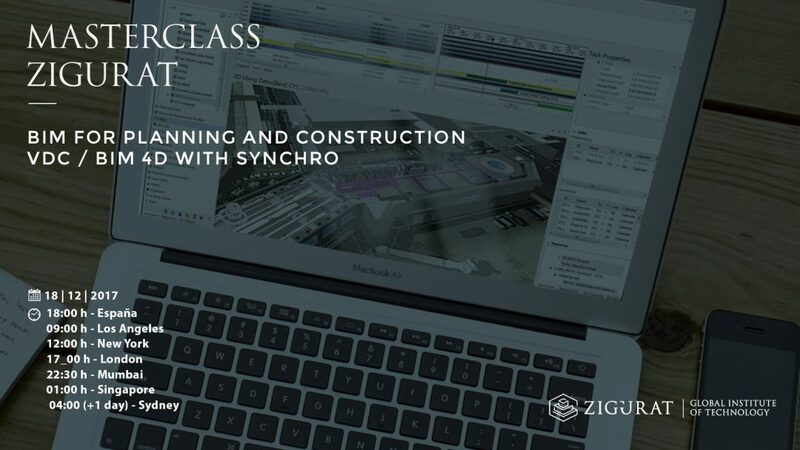 [MASTERCLASS] BIM for planning and construction VDC / BIM 4D with Synchro. On December 18, at 18:00 (GMT+1, See below for local times), the architect Sergi Ferrater and lecturer of the Global BIM Management Certification Program will make an exclusive Masterclass about the last trends of virtual construction under BIM methodology. The use of BIM 4D in Construction Project Management, by means of the virtual simulation of the work, supposes a radical improvement with respect to the traditional planning systems.